A TolaPoint 750 raised on two Wedges and mounted on a half-roll. 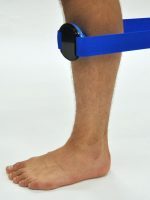 The height and angle of the Point compensate for the natural bend in the leg. 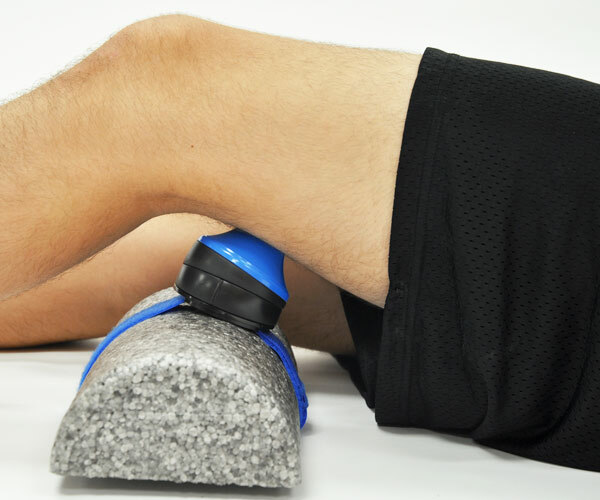 Any movement of the leg results in immediate pressure response from the Point, making your bodywork accurate, precise and efficient. Lie with the knee of your affected leg bent over your TolaPoint. 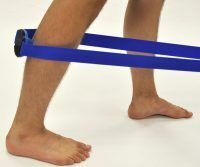 Relax your hamstring and let the weight of your leg rest on your Point to generate pressure as required. To increase the pressure, keep your hamstring relaxed and use your hips and torso to roll your leg toward your Point. For an intense pressure experience, sit to lean the weight of your torso onto your leg.